I mentioned last week that we recently received two new at home gel kits to test out and I've been busy reviewing them both for you. This week we have Evixi Gel, described on their website as 'long lasting, no chips, instant drying gel nail polish'. Firstly I must apologise to the lovely people at Evixi for giving them the wrong address, I'm very glad that the postman managed to get it to the right place in the end! We were sent the Evixi Full Starter Kit* which includes an LED lamp, cleanser, remover, top coat, base coat and one gel colour. Evixi kindly sent us two more colours to play with as well. The three colours we received are Perfectly Pink*, Dark Cobalt* and Sweet Caramel*. 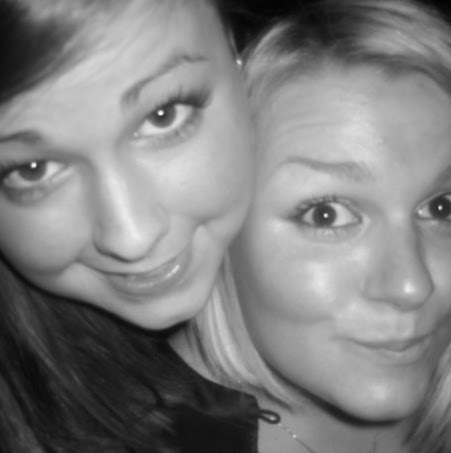 In this post I will run through how I found the product when using it. I'm currently running a wear test on both our new gel systems and will update on how they compare on wear in a future post. I tried Perfectly Pink* first on my toes, but I didn't think you'd want to see those photos (and Emma would never forgive me!) so I used the system again on my fingers to test it fully! The process is very simple and I have outlined the steps below. These are just the steps for a one colour mani, I've gone into more detail on how to achieve the marble effect further on in the post. The lamp has various timing settings on it so it was easy to use and simple to select the option I wanted. The base and top coat were thick like I would expect but the coloured polish was thinner. I did have a few problems with it running around the edges and creeping into my cuticles a little. This could just be down to practice but I don't have this problem with normal polishes which are also thin. Perhaps I need to work more quickly and get my hands under the lamp straight away? The colour density of the polish was ok, but I was conscious that my second coat had to be a bit thicker in order to ensure a fully opaque covering. In future I would consider three thin coats. As we're primarily a nail art blog and have been doing a lot of swatches recently I thought I would try my first ever gel nail art with the Evixi kit. I used the steps as above but after applying the second coat of colour gel (before setting it under the lap) I added a couple of dots of Dark Cobalt*. As the gel doesn't set until you put it under the lamp I was then able to swirl the blue gel into the still wet coat of pink to create a marble effect. I just used a toothpick so it was very simple! I wasn't sure what to expect from this but it worked surprisingly well - much better than when I try this with normal polish and it all turns to a gloopy mess! Overall I thought this kit was very simple and easy to use. The instructions were clear and the colour selection is really cute. This isn't the most expensive kit we've seen so if home gel manis are something you've been wanting to try but your funds haven't allowed it this could be perfect for you. I did find it slightly trickier to apply than expected but I would definitely use the kit again, and just be more careful with my application! 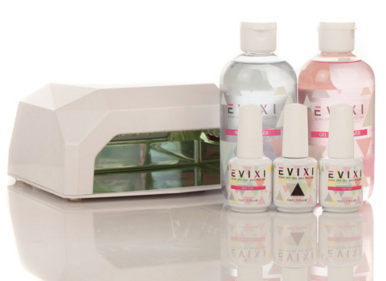 The Evixi Gel Full Starter Kit is currently on offer on their website for £49.99 (down from £85.94). Each additional gel polish costs £9.99. We were kindly gifted this kit by Evixi but this post is not sponsored and all opinions are our own. Have you tried any nail art with gel? Marbling is great as you don't need too cure between steps but I imagine anything more complicated could mean a million different layers and a lot of time with your hand under the lamp!